Tuesday marks the start of Latino Heritage Month, and leaders in the community are encouraging people to get registered to vote. 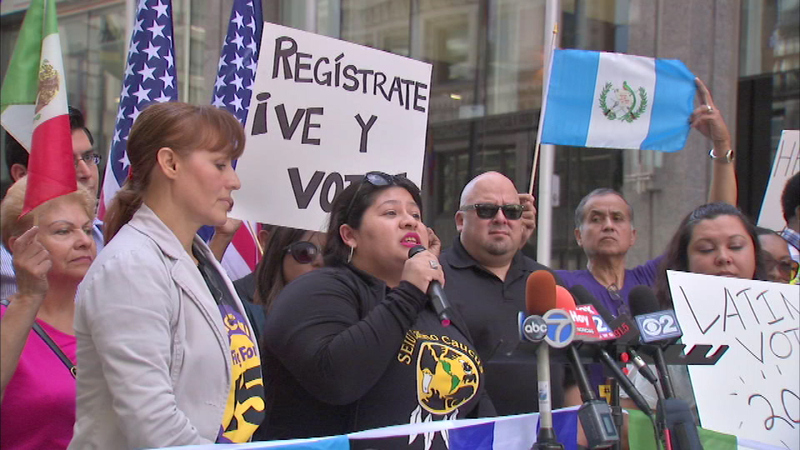 CHICAGO (WLS) -- Tuesday marks the start of Latino Heritage Month, and leaders in the community are encouraging people to get registered to vote. A rally was held downtown at the Plaza of the Americas, where organizers encouraged Latinos to register to vote in preparation for the upcoming presidential election. The GOP is taking action this month in response to outrage from Donald Trump's comments about immigration. The Republican National Committee is hosting dozens of events in battleground states.